LAUWA was born in a village called Valverde in La Rioja. Where we, LAUra and WAndert, started chasing the dream of creating our own wine and opening a bodega. We met in the Netherlands in 2012 in Groningen during our scientific careers. 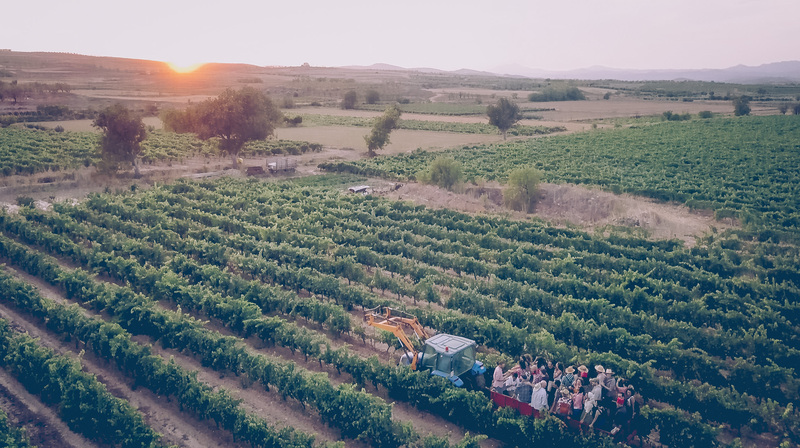 Due to the complex scientific background of wine making and high availability of grapes in Valverde, the idea of making wine had arisen fast. Now after 3 years of successful small batches ´para la familia´, we are proud to present our first official D.O.C. Rioja wines! For these wines, Tempranillo grapes were specially selected and handpicked from vineyards located in Valverde. These vines have been taken care of for over 30 years by the family Bozal Basterra. LAUWA is produced in a very natural and traditional way, without addition of commercial yeast or bacteria and by using a minimal amount of sulphites. We believe that making a good wine already starts by taking good care of our vineyards and thereby of course the flora present on the grapes. LAUWA grants its unique taste to its wild fermentation process and of course the great passion that we put in to making it! Of course to make a wine, we needed a bodega that met all the requirements that are set by the D.O.C. Rioja. Since we wanted to be a small bodega, so we can pay personal attention to all our wines, we made a plan of making a bodega in a building of just 70 square meters. This was a difficult task but of course not impossible! And yes, we managed to construct a bodega that allows us to monitor our wines perfectly and do our own bottling! Please take a look in our journal section to see a little history of the constructions. We are continuously trying to learn new things about the wine making process and are putting our efforts and passion into our wines. Thus far this resultes in our three beautiful wines with a unique taste each! Contact us and see whats possible! LAUWA © 2019. All rights reserved.